When a person makes a personal injury claim because of an injury that he or she sustained at work, it is referred to as a workers’ compensation claim. There are three main criteria that must be met for an employee to be eligible for workers’ compensation: the employer has to be covered by workers’ compensation, the injured person has to be an official employee of the business or company, and the illness or injury must be related to the job. There are a plethora of different illnesses and injuries that can be sustained in the workplace, so these cases can sometimes be complicated. Here’s what you need to know about a few special cases. One of the most complicated types of workers’ compensation claims is any that deals with psychological illnesses. Some people believe that since these are not easily seen and are not physically manifested that they will not be covered by workers’ compensation, but that is not the case. These personal injury claims are sometimes harder to get approval for since they are hard to prove, but if the psychological distress is a result of the job they should be covered. For example, if an employee witnesses another person’s death on the job, the psychological distress caused by that is covered. Another special case of workers’ compensation is pre-existing illness. It seems that any pre-existing illness wouldn’t be covered under workers’ compensation because if it already existed, there is no way the job could have caused it. Again, this is not the case. If the performance of job duties causes an old injury to return or worsen, the injury is covered. For example, if an employee had a bad back but recovered from it, and then put it out again after lifting a heavy item at work, this is covered. It might seem that misconduct is not covered under workers’ compensation since there are rules and guidelines in place to protect employees, and a breach of that seems to make the injured employee liable. However, depending on the details of the injury and the accident, it’s possible that workers’ compensation would cover it. 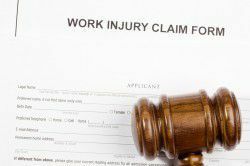 Typically, since employees are prohibited from suing their employers in the event of a work injury, the employer makes sure to be covered by workers’ compensation. These are some of the more complicated, but not uncommon, causes of workers’ compensation claims. Since proving these can be difficult and there is always a chance that the claim could be denied, it’s worth looking for a personal injury lawyer to help you through the process.